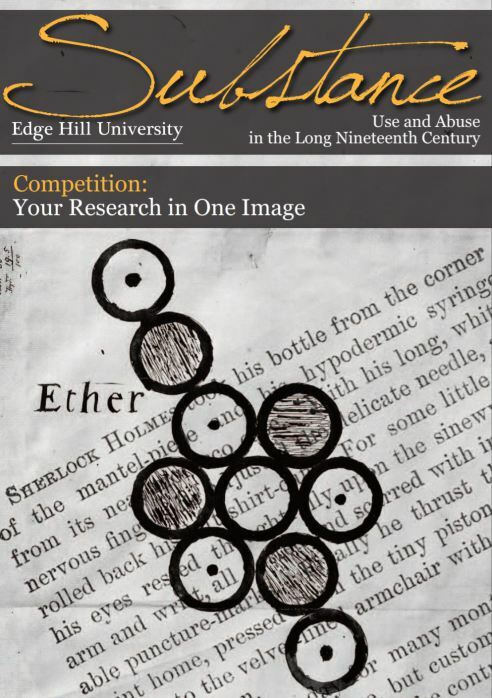 Dr. Laura Eastlake and Dr. Andrew McInnes the organisers of Substance Use and Abuse in the Long Nineteenth Century at Edge Hill University (13th-14th September 2018) have announced a creative competition in the run up to the event. The competition Your Research in One Image will be judged by a panel led by Stephen Whittle the Principal Manager of The Atkinson Southport, with whom Eastlake and McInnes are collaborating to mount an exhibition related to themes explored in the conference. We are inviting submissions of creative works which explore any aspect of nineteenth-century substance use and abuse. -Photography, painting, digital art, mixed media, posters? -Still lives of drug paraphernalia? -A sculpture featuring Sherlock Holmes’s 243 types of tobacco ash? This competition is open to undergraduate and postgraduate students, lecturers and researchers, and members of the public. Winners will be announced and prizes awarded at the conference, 13th – 14th September 2018 at Edge Hill University.